えんそく (Ensoku) - 3 Releases Announced | VKH Press – J-Rock & Visual Kei Coverage Worldwide! えんそく (Ensoku) fans, rejoice, as the band announced three new releases! The first release is a best-album, titled Chuunibyou no Messiah (中二病の救世主). The best album will be only a live limited release, which will be sold at their live at Shinjuku BLAZE on November 18. It will cost 1000 yen. The next release is that they will officially release the new single off their album, Chuunibyou no Messiah! 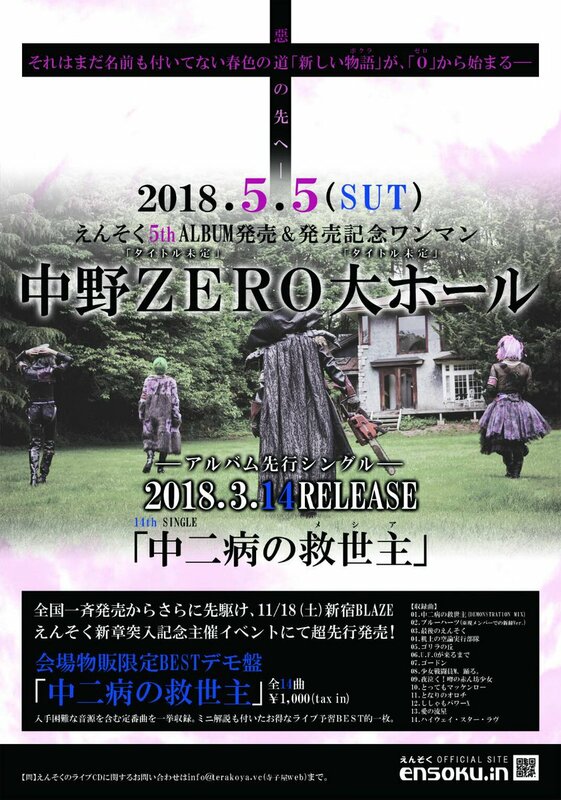 It will be on sale March 14 as their 14th single. The final release will be a new album! It will be on sale May 5th and it will be their 5th album.